Cookies, this all American biscuit has thrown away it’s visa and become a Citizen of the world. 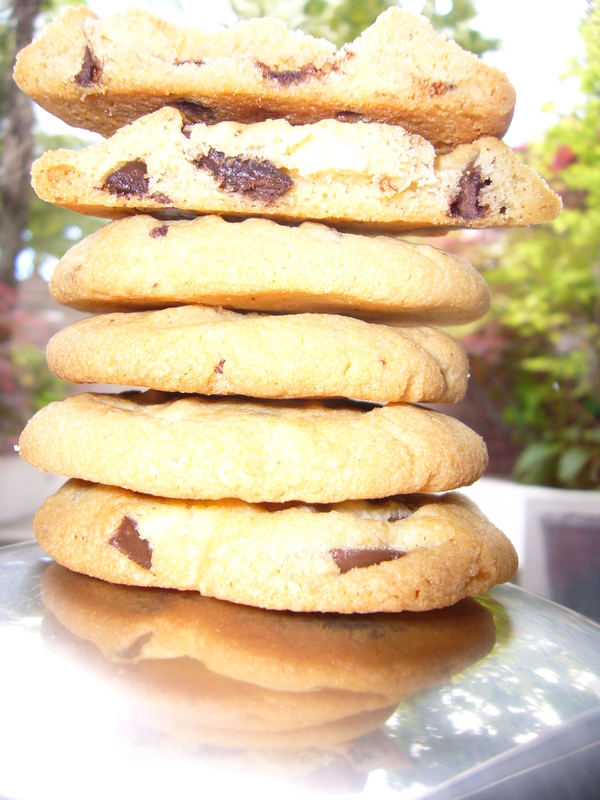 The chocolate chip cookie is the poster girl, gooey, sweet and rich. 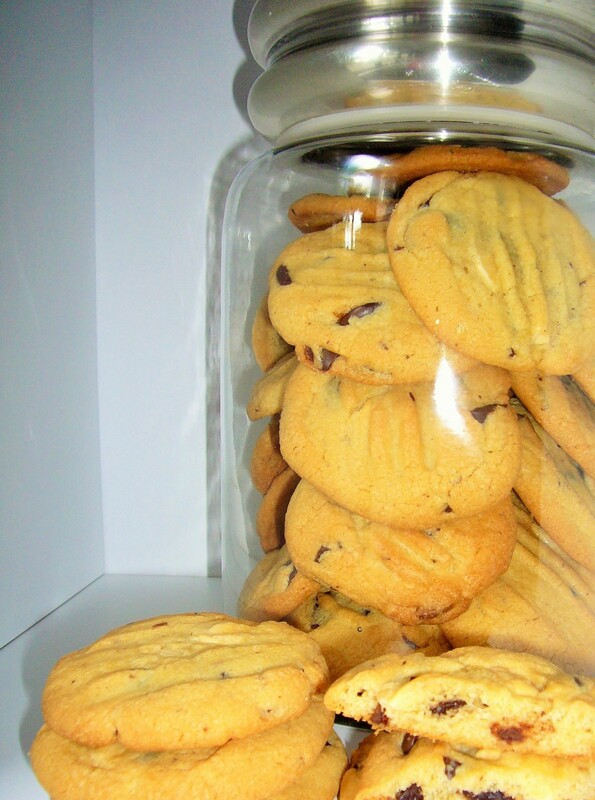 Here is the standard recipe I used for years, but beneath it, a new improved version, that is so addictive, I actually have to limit how many are eaten in my house, or 36 cookies disappear in a day. I don’t know why they are so drug like, the proportion of fat to sugar is pretty standard, and the method virtually the same. Perhaps there is just something special and comforting about eating freshly baked, still warm cookies straight from the tray. Even better, stolen from the jar when mum wasn’t watching! 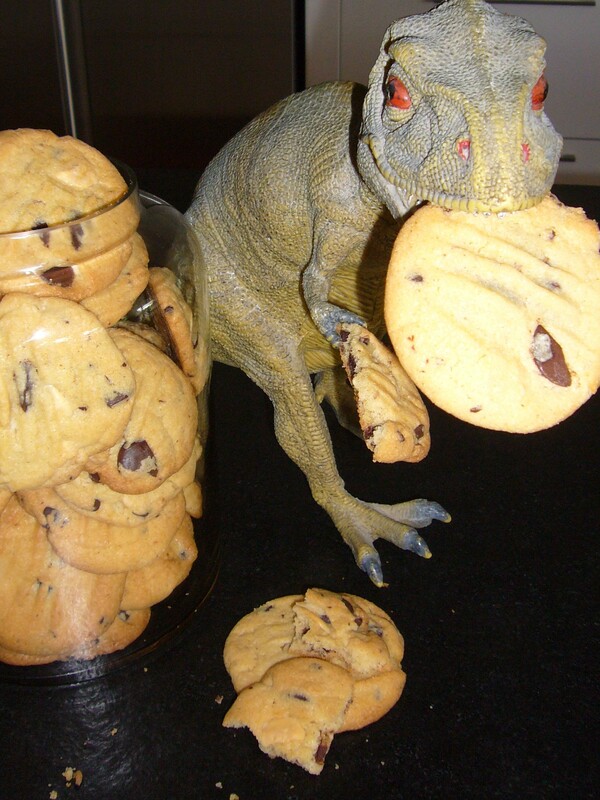 you will get about 12 large cookies. Warning needs to be frozen for three hours. 100g nuts I use hazel nuts but anything goes. 200g of dark chocolate chips, not buttons, or dark solid chocolate chopped. 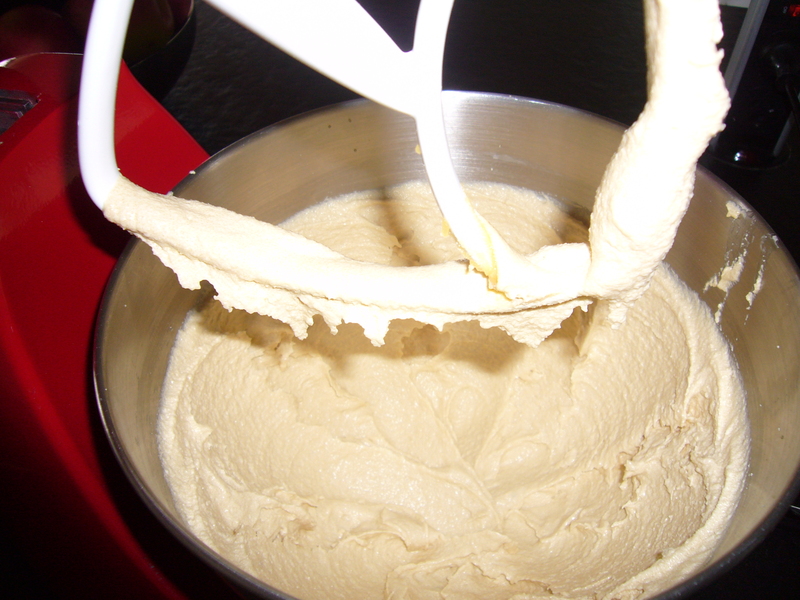 Mix together the butter and both the sugars until it is pale and creamy. Add the egg and then the egg yolk and mix well, scraping down the sides of the bowl. If the mixture curdles at first this is perfectly normal, it will come back together again. Roasting any type of nut will give you a deeper nutter flavor. Toss them in a hot oven on a line tray for about 10 mins. 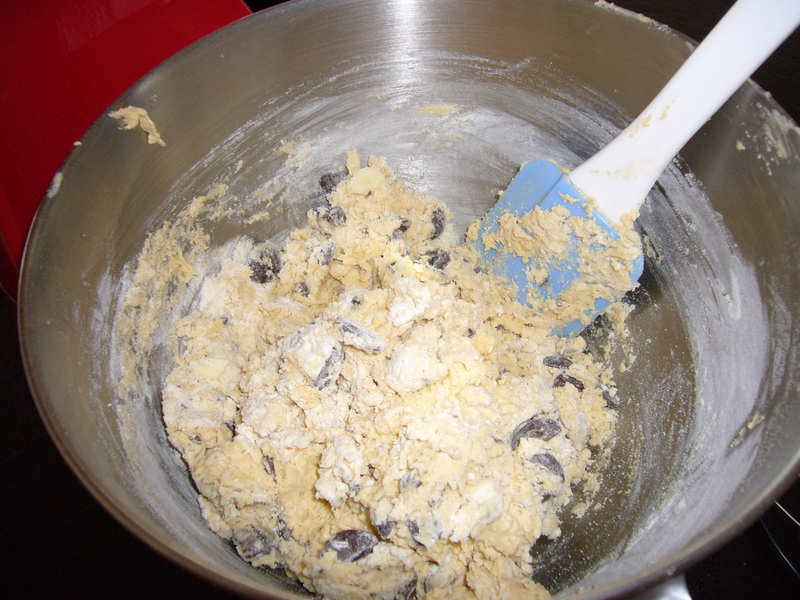 Sift into a large bowl, the flour, salt, bicarb and then add the chocolate chips and chopped nuts. Give it all a good stir. Slowly add the flour mixture, do not over mix you just want to combine so no flour remains. Find the two pieces of baking paper and place half the dough into the center of each, with damp hands make a rough log shape. It will naturally end up about 4 cm thick and not perfectly round so do not worry. Roll the paper up around the dough and twist the ends closed. Put them in a plastic bag and pop into the freezer for no less than three hours. 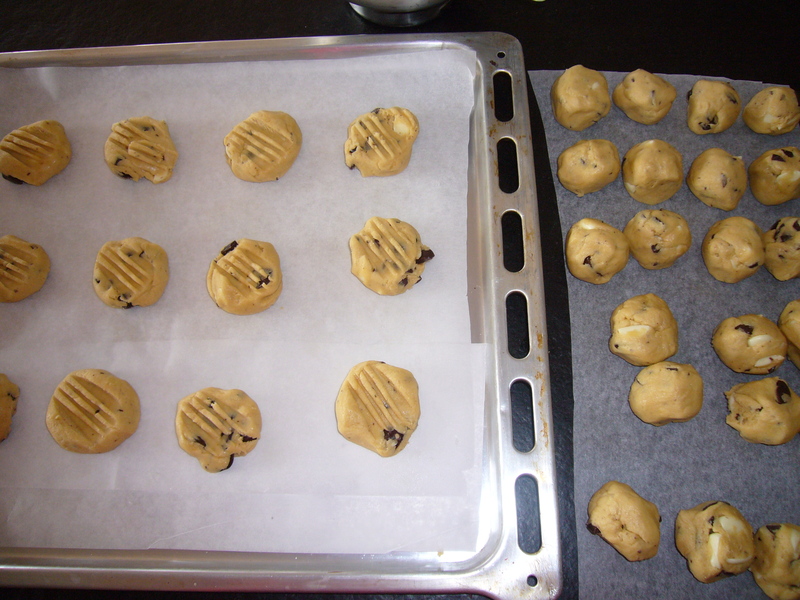 When you are ready to bake, preheat the oven to 180ºC, fanbake a little lower. Take the rolls out of the freezer and then let them soften, for no more than 10 mins, while you line a baking tray with paper. Using a sharp knife cut one of the logs into 6 discs. 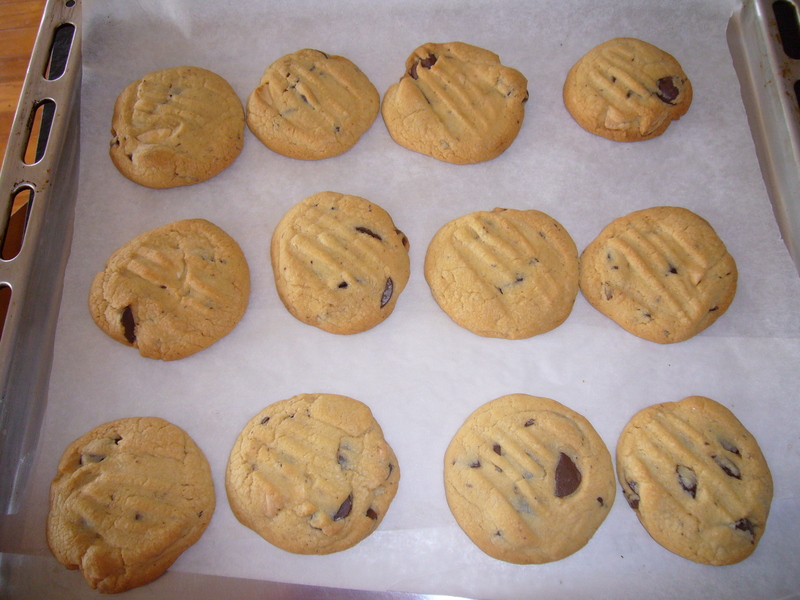 Bake for 15 – 18 mins, you know your oven, until they are golden brown. You are looking for soft in the middle but if you over cook they will just be crispier at first and will soften in the container. Let them cool on the tray. Repeat with the second log. Hide them. They will last for a week in an air tight container and a good hiding place. Roughly chop the chocolate buttons. half the fun, when you are eating them, is to get the cookie with the most chocolate, so you do not have to be regimented. Sift into a large bowl the flour, salt and bicarb and then add the chopped chocolate buttons. Give it all a good stir. Slowly add in the flour mix, to combine. Do not overwork just make sure there is no flour left and scrape to the bottom of the bowl. Scoop out large tablespoon of dough, I do 12 at a time, roll with damp hands into balls and flatten slightly with the palm of your hand or a fork. Bake for anything from 15 to 18 mins you are looking for a light brown, golden on the edges. If you over cook they will be more crispy. 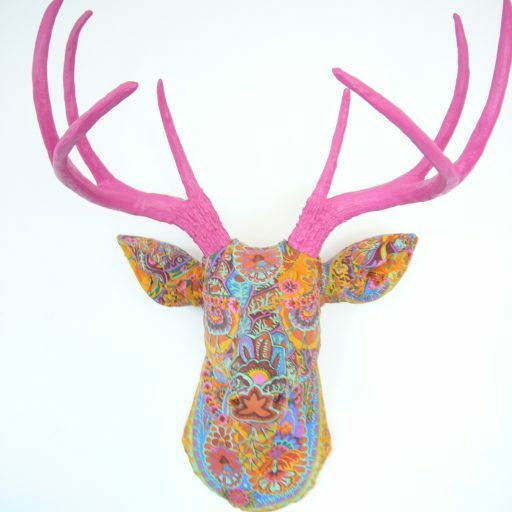 Transfer to a wire rack to cool. Repeat with the rest of the dough. I usually make all the balls first and have washed up by the time the first tray comes out. Even better to it down with coffee and cookie with no dirty dishs.